While it is already possible to inspect data ranges through the hex view and its bar on the left, now there’s a new view to express the type data quotas. 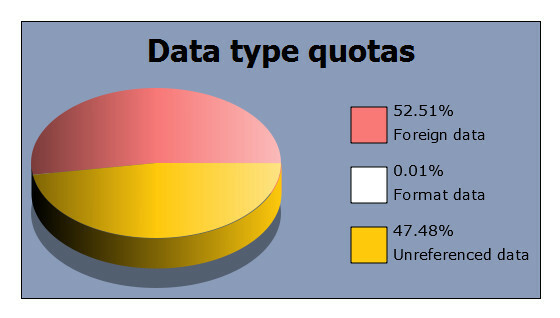 This is useful in order to understand at first sight how much of a file is actually part of the format, how much is custom data and how much is foreign or unreferenced data. Also, from the options it is possible to fine tune at which point foreign data should be reported as a security problem. The amount can be expressed either in percentage and/or size.